RVNL Recruitment 2019 - Job notification for Dy. GM/ Sr. Manager (Elec.) Posts in Electrical Engg. Deptt, RVNL, Guwahati, Assam on Deputation Basis. 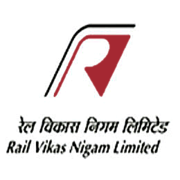 Applications are invited by Rail Vikas Nigam Limited on or before 13 Mar 2019 for 2 vacancies.